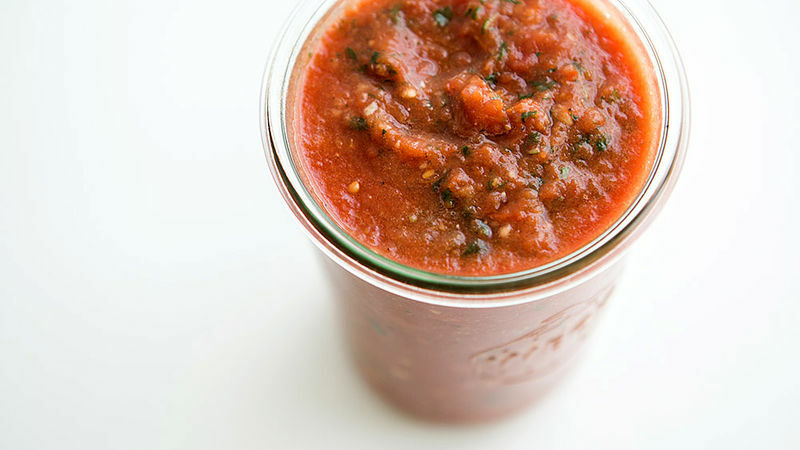 Place tomatoes, garlic, onion and honey in blender. Puree. Add basil and puree until finely chopped. Salt and pepper to taste. Serve uncooked on top of hot pasta, or heat and serve in your favorite spaghetti or lasagna recipes.